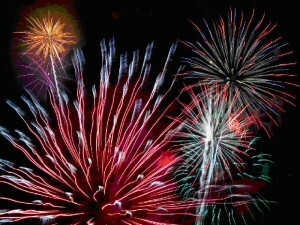 July 4th Activities & Fireworks across Loudoun County! ~At the Lovettsvill Community Center there will be food, Carnival type-games, music with DJ Joe Allen, a rock wall, pony rides, face painting, a moon bounce, and a nine-hole mini golf. ~A performance will be put on by a local dance troupe, the Blue Ridge Thunder Cloggers. Parking is free at the Lovettsville Community Park and admission for the activities is $4 at the door. Children 3 or younger are free. ~Activities include pony & wagon rides, music, crafts, Reptiles Alive, nature exhibits and historic tours. Enter on Loudoun Park Lane, a suggested donation of $5 per family to be paid at the door. ~Gates open and at 6:15pm there will be a performance by the Camerata Americana chamber ensemble and the Blue Ridge Thunder Cloggers. Music will be played by the The Robbie Limon Band will play a mix of popular music from the ’50s through today. ~There will be fireworks with live orchestral music provided by the Loudoun Symphonic Winds. The suggested donation is just $5 per carload. ~Franklin Park is located at 17501 Franklin Park Drive, Purcellville, just west of Purcellville on business Route 7. ~Further information is available at jeff.stern@loudoun.gov. ~Childrens activities include a petting farm provided by the Fauquier 4-H Club, a rock climbing wall,face painting, games, and pony rides.Other activities include model rocket launches, giant scale radio controlled planes, a blimp, rescue helicopters, and a polo match. until just before the fireworks begin. 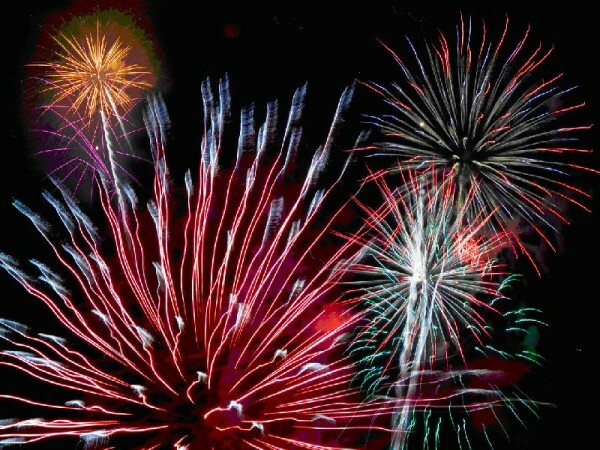 The highlight of the day is the special high altitude fireworks display which includes shells larger than any in the Washington region. Car passes are only $20 in advance and $40 at the gate. Hospitality tents, boxes, and rail spaces are also available at price ranging from$185 for a reserved tailgate spot on the fireworks rail, to $1,395 for a rail hospitality tent. Early reservations are encouraged . Families without a tailgate spot can bring picnics and blankets..
~Leesburg’s Independence Day celebration begins with the parade from Ida Lee Park and travels south on King St. and conclude at Fairfax Street. Civic groups, youth organizations and others are encouraged to participate in the parade. No fee is required to participate and pre-registration is encouraged, but is not mandatory. ~A new addition to this year’s parade will be the introduction of the Patriot’s Cup competition, sponsored by Leesburg Today. This new float category will be awarded to the top patriotic float, with the winning names engraved onto the Patriot Cup. ~Gates open at Ida Lee Park for the Celebration in the Park. Leesburg’s Reverend Hookems band opens and, at 7:30 p.m., the sounds of Marna and Macy will take the stage. There will be food vendors with hamburgers, hot dogs, ice cream, funnel cakes. crab cakes, barbecue and stir fry. Parking is available at the interior lots off of Ida Lee Drive, and the festival field parking off of King Street. ~Leesburg Fire and Rescue Volunteers will be on site to provide medical assistance. Coolers and large bags are permitted but will be checked at ticket gate entrances. Pets, alcohol, glass bottles and personal fireworks (including sparklers) are not permitted. ~Contact Rachael Goodwin, at Leesburg Parks and Recreation. Information is also available at the event’s Web site at http://www.idalee.org/parks/events/july4th. ~Parade starts at Emerick Elementary School and end at Loudoun Valley High School. ~Rides and booths will be open. Food and entertainment will be provided. ~Parking will be at the IGA Plaza (Purcellville Marketplace location). Proceeds will go to Purcellville Volunteer Rescue Squad, the Centennial Committee, and other local charities. ntemporary folk artist Tomy Wright, accompanied by Brooke Robbins, and activities for the children such as arts and crafts and old fashioned games. ~The Round Hill Junior Women’s Group will serve cold lemonade and sell baked goods, and ice cream will be available for sale from the Round Hill Volunteer Fire Department. ~4th of July Parade begins and for more information contact the president of the Waterford Citizens’ Association, Tom Edmonds, at tomedmonds@aol.com. ~Despite the recent fire at the Old Stone School the towns annual celebration will take place at the Old Stone School on Route 9. ~There will be music from “Hewn from the Mountain”, complimentary ice cream, carnival games, raffles and a bake sale with homemade treats. Proceeds from the ticket sales for games, raffles and the bake sale will go to the HCA. ~There will be barbecue chicken dinners sold by the Hillsboro Ruritans for $7 a plate Drinks are an additional $l Picnic suppers are also encouraged. Hillsboro Columnist Sue Ulland reports that it is hoped that the auditorium will be open in time for the event. A special performance by the Blue Ridge Thunder Cloggers is contingent upon the auditorium’s availability. It is hoped that repairs after the fire damage will be complete in the auditorium to allow ice cream to be served there and to allow the cloggers to perform. ~For those wishing to contribute to the fund to repair the fire damage, read Sue’s column at www.louoduntimes.com. Click on the Communities link and scroll down to Towns and Villages.